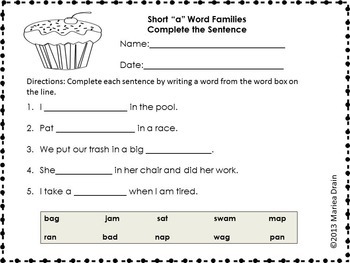 I designed these activities for my students that need reinforcement in reading words with the short vowel sound. 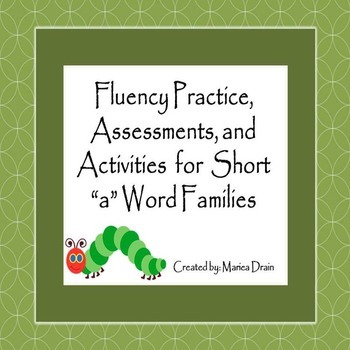 This packet is for short “a” word families. *There is a pre- and post-test record sheet for the teacher to use. 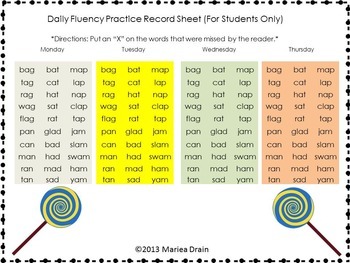 *There is a daily reading fluency checklist that students can use with a partner or as a center activity. 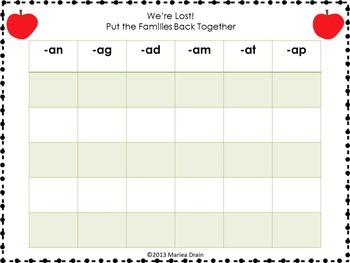 This enables the students to practice reading the short “a” words each day and track their progress. It can also be used as a homework activity. *There is a template that you can use for the students to make picture vocabulary cards. *This packet also includes a word sort and complete the sentence activity.